Since releasing their debut album, 'The World as We Know It', The Morning Of have had several line-up changes and more importantly signed a worldwide deal with LAB Records/Tragic Hero. The New York five-piece make their return with 'The Way I Fell In', a record that is 12 songs consisting of sweet piano-based harmonies and all-round growth. Opening track 'Jennasea' is delicate and beautiful with Justin Wiley taking lead on vocals. Add to this a slow-burning build that is captivating and you're left with a near-perfect start. One of the many positives of The Morning Of, is their passionate, positive energy that is resonated throughout. 'What You Can't Control' is pure piano pop, with its leanings towards blues; Jessica Leplon's soulful vocals and brass instrument inclusions are brilliantly pulled off. Recent single 'The Ones That Fall Apart' is the band at their best, as Leplon and Wiley compliment each other well and are backed by the band's thriving, tight sound. The same can be said for 'Bring Me Home'. 'Tell Me I'm Wrong' is the ideal example of the band's lyrical and personal growth, with Leplon's sweet tone and sorrowing tale is delivered well and overall glorious. From there on the band, to an extent, are in their comfort zone with 'Dance With Me' and 'Like Yesterday'; upbeat, passionate numbers that keep up the momentum. The band come into their own when they are calmer, as 'The Time It Takes To Grow' and 'I Know You Know' is haunting and shows a band settled in their skin, with Jessica Leplon's voice faultlessly taking center stage, as she displays a sense of innocence and standard that is beyond her years. Closing track ('Heaven Or Hell') features Copeland's Aaron Marsh and is a captivating number that effortless grabs the listener's attention, purely for its sheer beauty and delivery; especially their potent use of vocal harmonies, which connect together brilliantly. 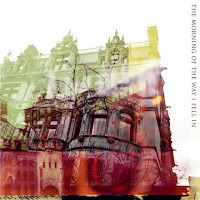 The Morning Of deserve all the praise they get for 'The Way I Fell In', as this collection of songs shows a band that have matured for the better but have equally kept their youthful, pop sensibilities that won over fans first time round and will gain more. A majestic pop/rock tour de force. 'The Way I Fell In' by The Morning Of is released on LAB Records/Tragic Hero Records on May 3rd(UK)/4th(US). The Morning Of on MySpace, Twitter and Facebook.